AGUA DULCE, CALIF. – The tradition began on the soft sandy beach just outside San Jose del Cabo, Baja, Mexico. The place was NORRA racer Mark Post’s exquisite Javier’s restaurant located at the equally magnificent Cabo Azul Resort. Its birth came in the spring of 2012. 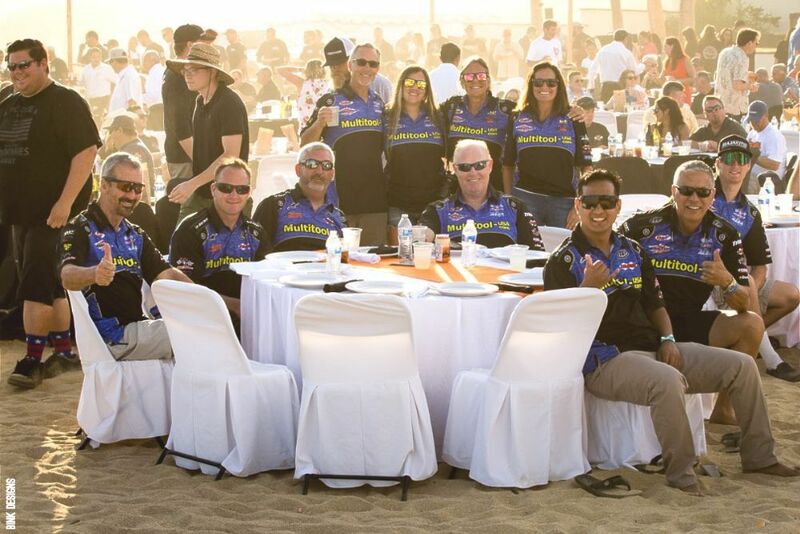 It was here that the National Off-Road Racing Association (NORRA) first established one of its signature off-road racing traditions – the annual Mexican 1000 seaside awards banquet. That groundbreaking first event, which was sponsored by longtime rally support Michael Gaughan and his South Point Hotel and Casino, was a revelation that became a cornerstone to NORRA’s “Happiest Race on Earth” mantra. 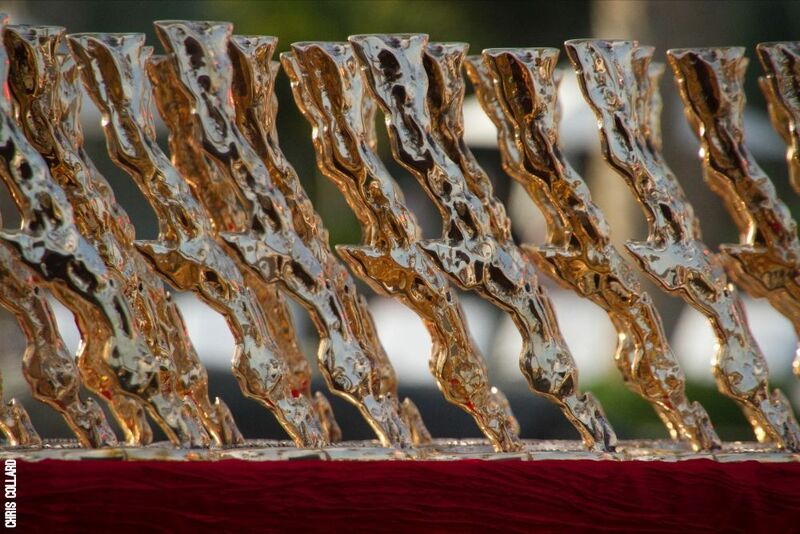 For Mexican 1000 racers, crews, family and VIPs, the site of hundreds of chairs, table cloth adorned tables, perfectly presented bars with top-shelf liquor, well dressed wait staff and endless tables of gourmet Mexican food was a revelation in post-race awards celebrations. The fact that it was all located directly on the sand, as opposed to a generic ball room in some nondescript hotel, helped it became an indelible memory. 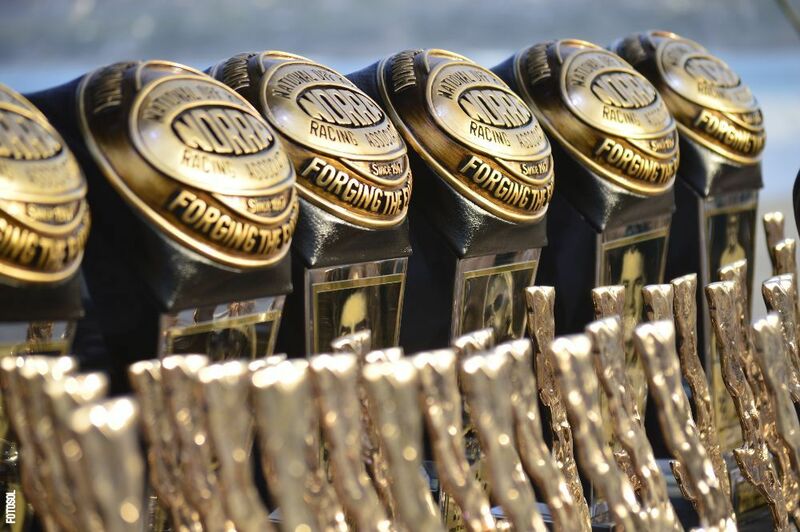 TO THE VICTORS: Unlike many traditional off-road racing events, NORRA has taken extra care to make sure its Mexican 1000 trophies are special. While the coveted large trophies are for each Era category victory were designed and sourced in Mexico (top), NORRA President Mike Pearlman hand formed the mold for the classic brass Baja peninsula trophies given to class winners. Thanks to an inspiring last-minute contribution of Post, that inaugural evening ended with a huge professional fireworks show Baja style. What does that mean? It’s Fourth of July in your face; a fifteen-minute explosion right at the surf line that lit up the sky and surf. You can’t experience that anywhere in America. Traditionally, desert off-road awards ceremonies have been rather bland, and often poorly attended affairs as most teams completed the race and headed home early the next day. 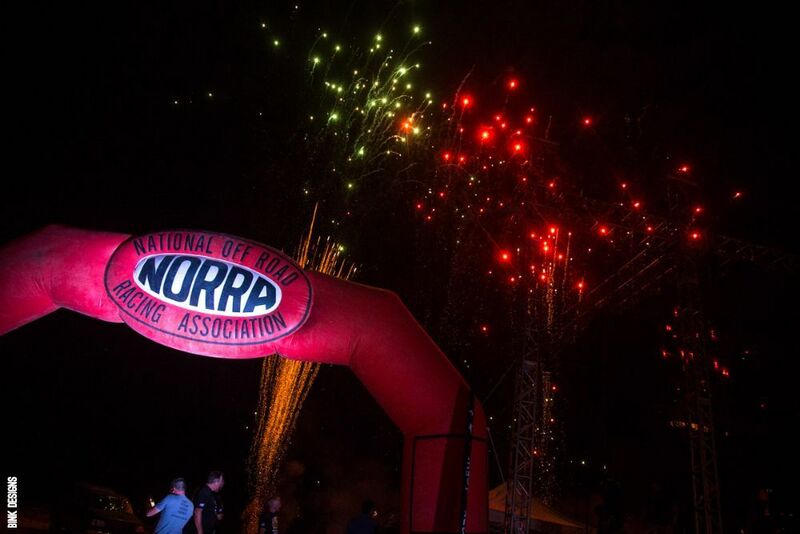 NORRA changed all of that, and the next few years saw the event expand to nearly 1,500 guests – the largest in the sport. 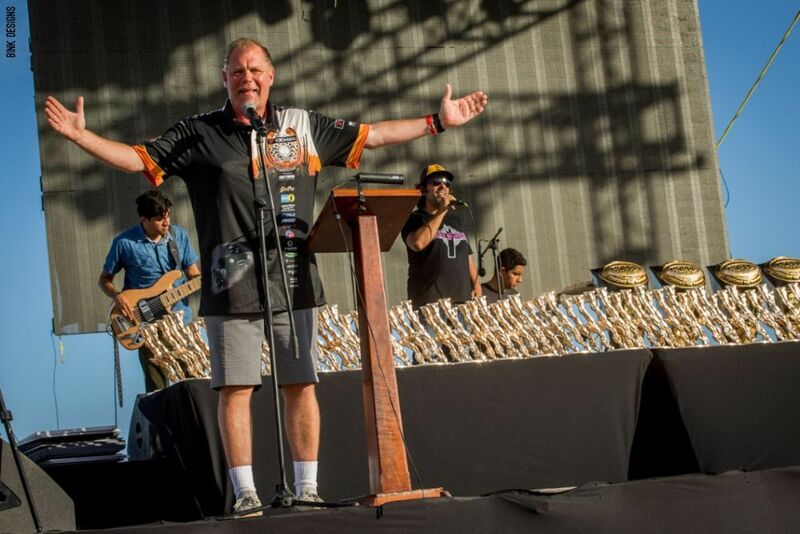 The challenge to NORRA came in the form of both trying to offer awards the same day as the finish of the race (from an official rally timing and scoring point of view), as well as a large list of categories and winners that stretched the evening well into the night. A WELCOME CELEBRATION: Win or lose, taking a five-day adventure down the Baja peninsula is an accomplishment to be celebrated. With access to San Jose del Cabo just a short flight from California or Arizona, many families now make attending the Seaside Fiesta an annual tradition. 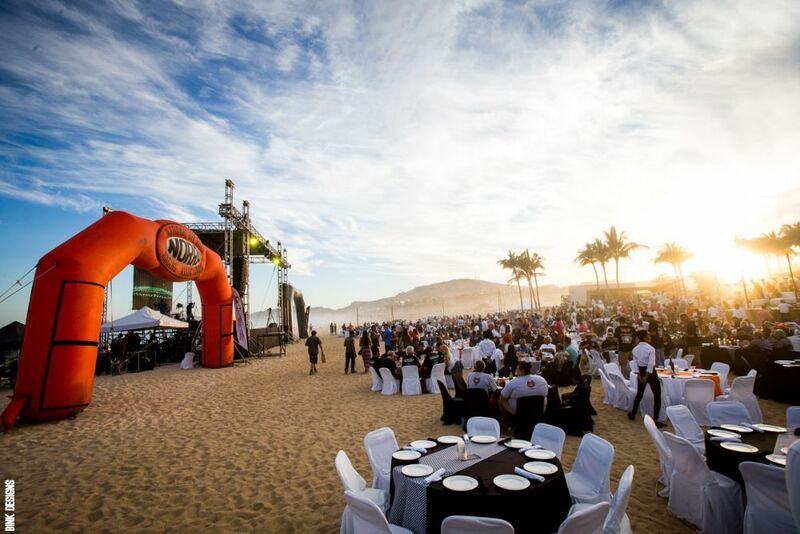 In 2018, NORRA and event organizers shifted the event from Thursday night when the five-day rally was completed to Friday night, which allowed more time to complete and verify official results and provide an even more attractive reason for spouses, family and friends to make a weekend journey to the internationally famous Mexican resort area. The location had also shifted to the larger and more appropriate private beach resort at Club Campestre San Jose, just a few minutes’ drive south of where it all started at Cabo Azul, a resort many racers still call home for their NORRA adventure. 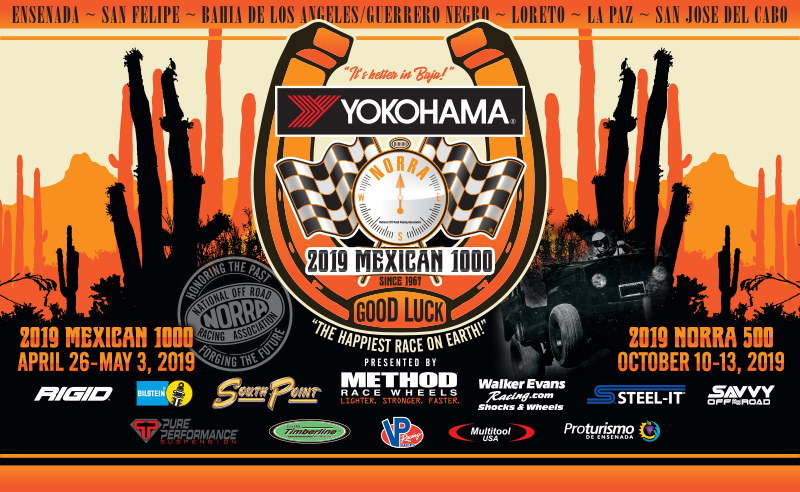 Plans are already in place for the 2019 Yokohama Tire Mexican 1000 seaside awards celebration, ones that take the very best of the past while enhancing the overall show as well. A live classic rock band will entertain at the venue’s massive stage, complete with concert-level sound system and LED big screen. 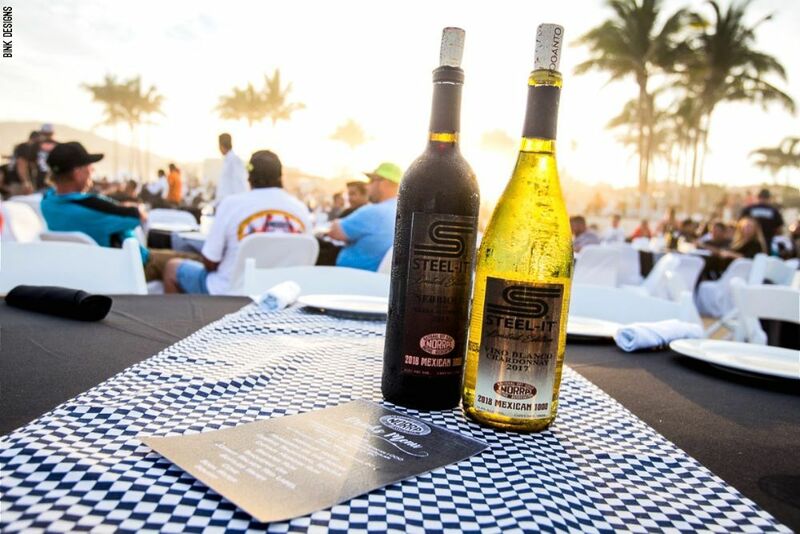 Once again, the party will feature multiple food stations and bars, with catering from Rogerio Ampudia of Stella Cucina al Forno Cabo. Back by popular demand will be ice cold “Yokohama NORRA Baja Blonde” beer courtesy of Cerveceria Transpeninsular and Roganto wine. The biggest change, however, is expected to be a much more concise awards presentation to be hosted and co-produced by NORRA racer and veteran emcee Marty Fiolka. 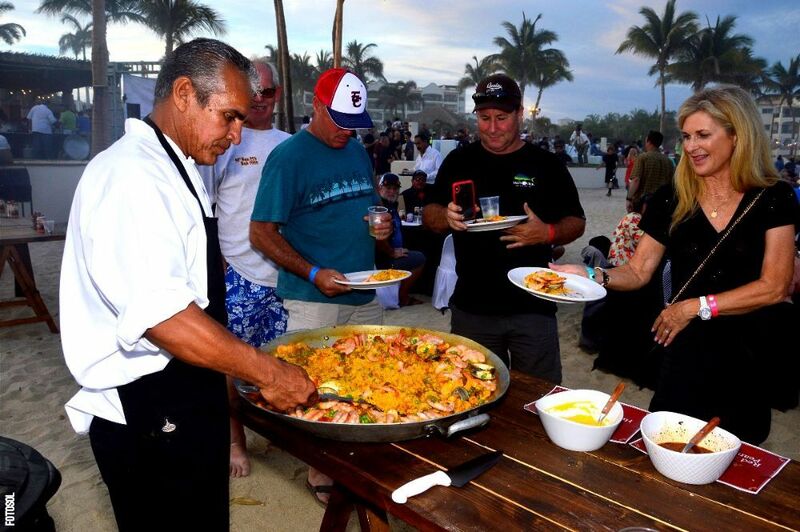 FOOD AND FUN: Like any great party, in 2018 the NORRA Seaside Fiesta features great food including local dishes like hand made paella (top), as well as beer, cocktails and even commemorative wine, which was supplied by event partner STEEL-IT. This year the event will be hosted once again by longtime NORRA racer and event emcee Marty Fiolka (above). The big Mexican 1000 finale is part of an overall combination that has proven admittedly addictive, and now companies like Yokohama, Method Wheel, Bilstein, Walker Evans Racing, South Point, Rigid, STEEL-IT, Savvy Off-Road and many more have joined in on the NORRA phenomenon. 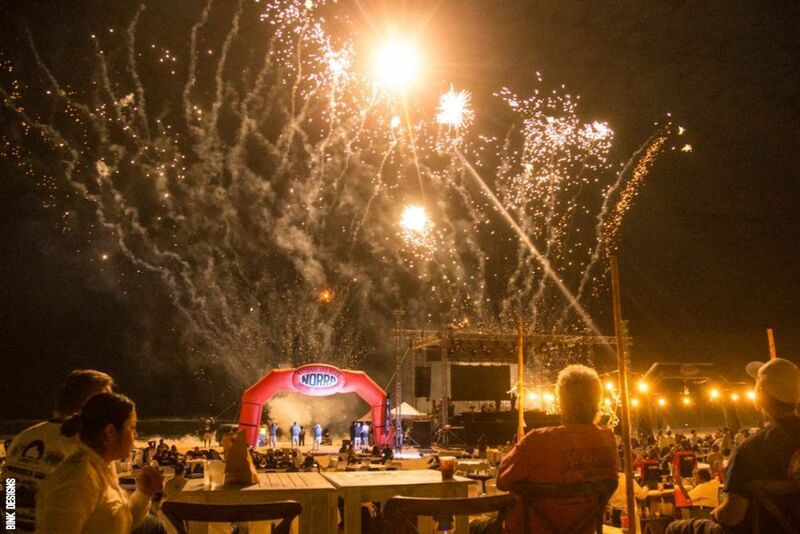 “Looking back now, that first seaside party in 2012 really set the standard for how to end an event like the Mexican 1000 in style,” shared NORRA President Mike Pearlman. “The main goal for NORRA is to build an experience for our racers, families and crew like no other. This party is now the biggest and best awards event in the sport, and 2019 will take that tradition and build on it for the future. Cheers!"